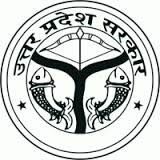 UPSSSC Parichalak Exam 2015 :- Uttar Pradesh Subordinate Service Selection Commission (UPSSSC) will organize written examination on Parichalak (Bus Conductor) vacancies on 1690 post. Applicants who have applied in the recruitment process can download UP Parichalak Admit Card 2015 from the official site at www.upsssc.gov.in. Written examination will held on 06.09.15. Registration process for 1690 vacancies was completed in the month of May and it was started in the month of April 2015. Registration process was completed in the online mode from 24th April 2015 to 25th May 2015. Participants in huge ratio have applied in the registration process for 1690 vacancies of Bus conductor. Now the department has released the Examination dates and Admit Card status along with Syllabus and Examination Pattern on the official site. Written Examination is subjected to be held on 06th September 2015 at various 32 centers. It is mandatory for the applicants to bring their Admit Card at the exam centers as without it participants can not write the examination. Written Examination will held on 06th September 2015 till then applicants should download their Admit Card for giving examination. Applicants are advised to carry their one of the ID Proofs (Aadhar card or Voter ID or Passport or Driving License) for verification purposes to avoid fraud and other mischievous activities. No Electronics Media or other gadgets are allowed in the written examination hall. Applicants have to carry only their Geometry Boxes with Admit Card and ID Proofs at the exam centers. Admit Card are always released before 20 days of examination but this time the process has been started late and Admit Card for UP Parichalak Exam 2015 are uploaded from 28th August 2015. Now the hall tickets are available in the official links present at the end of the page. 02. On the home page you will get the link to download the details. 03. Click on the link and check the Admit Card generation process. 04. Enter the details like Registration/ Application ID and Password to get Admit card. 05. Submit all the details. 06. Click here to get Exam Notification. 08. Click here to get Parichalak Examination postponed notice. UP Parichalak Admit Card for the 1690 Parichalak examination. Written Examination will held on 06.09.15 on 32 centers. Admit Card are released from 28.08.15 onwards. sir up parichalak ka kab aa rha hai date bataye please sir…. Comment:Sir admit card kab aa rahe hain. Pls bata dijiye. Reply meri email id par send kar de. Comment:Sir; admit card kab aa rahe hain. Pls bata dijiye. Comment:Sir admit card kab tak ayega. Comment:Sir main bareilly diss se hun kya mera exam center bareilly padega.